The changing dynamics of the global reinsurance sector, aggravated by ample sources of capital, competition and benign losses, has created a standoff between intermediaries, insurers, reinsurers and underwriters in the space, according to Vincent Dowling. “We are at an O.K. Corral right now,” said Dowling, managing partner and co-founder of Dowling & Partners, likening the current reinsurance market to the famous 1881 Wild West gunfight. “We have intermediaries who know they can skip around traditional sources and go direct to the capital markets. We have primary insurers and reinsurers that know they can skip the intermediaries to access the capital markets,” continued Dowling. “We should understand what has changed is the business,” stressed Dowling, speaking at the Marsh & McLennan Young Professionals’ Global Forum 2015 last month. As the participants in the global re/insurance market continue to navigate a softening, increasingly competitive and capital rich market, the establishment of hybrid reinsurance ventures and innovative structures has increased and also served to further change the landscape of the sector. Moving away from the initial hedge fund-backed reinsurers and to something strategically differing was the establishment of Watford Re, from Arch Capital and Highbridge Capital. “All of a sudden people woke up to the fact that there are a lot more hedge funds who would like to do this than reinsurance companies that can make a viable run of it,” explained Dowling. 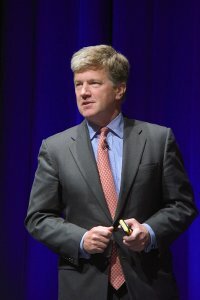 The result of ventures like Watford Re for the traditional reinsurance players, notes Dowling is the realisation that they must adopt a similar approach and gain access to similar risk transfer vehicles, or simply accept that there are some lines of reinsurance business they can’t effectively compete for. – Third-party capital ripples through reinsurance value chain: VJ Dowling. – Technology can make re/insurance more efficient: Duperreault. – Alternative capital helps re/insurance stay relevant to society: McGavick. – ILS investors should beware the ‘benign cat environment’: Arch CEO.